East Village District Condos in downtown San Diego is located on the east side of Downtown San Diego located east of the Gaslamp, The Core and Cortez Hill Districts. It's actually one of the largest areas in the downtown San Diego area with a great revitalization to the area in the last decade. 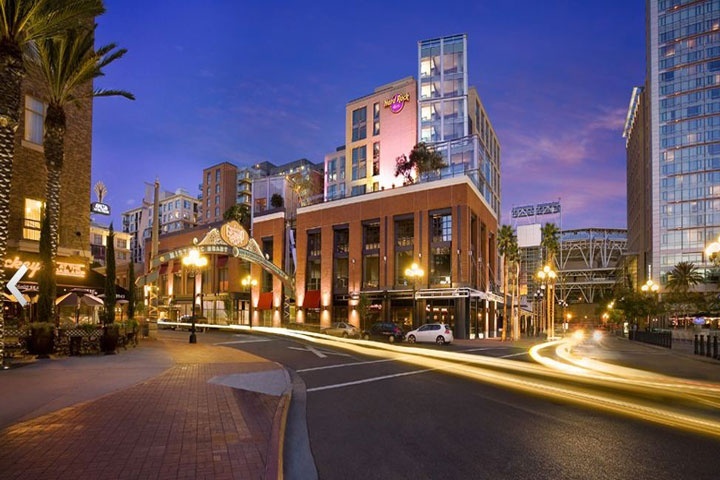 It's prime location next to the restaurants and night life at the gas lamp district and close proximity to the Petco Park ball field. The East Village District can be rather expensive depending on the location with luxury downtown condos in the Alta, Diamond Terrace, Element, Fahrenheit, Icon, Library Tower, M2i, Metrome, Nexus, Park Boulevard East, Park Boulevard West, Park Loft, Park Terrace, Rowhomes on F, The Legend, The Mark, The Metropolitan, The Mark and The Hard Rock Hotel Condos. All San Diego homes and San Diego Condos for sale are also listed below in the various San Diego neighborhoods. Questions? Let our team of San Diego Realtor Associates help you. Please contact us at 1-888-990-7111 today.